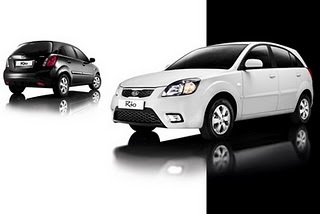 KIA Motor set to attend at Geneva Motor Show 2011 and they would introduce the New KIA Rio. 2011 New KIA Rio is 5 doors car that projected to battle with Nissan March. KIA Rio comes in two different engine capacity which are 1,100 cc 4-cylinders diesel and 1,200 cc turbo direction injection. The vehicle that meets Euro 5 compliant is pointed to Europe market and United Kingdom. The car scheduled to go on sale about September 2011.